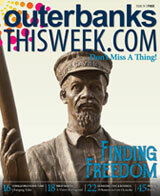 ALREADY LOVE THE NORTH CAROLINA AQUARIUM ON ROANOKE ISLAND? Get ready to love it even more this summer when they’ll have all your longtime favorite exhibits plus some new, improved and returning ones as well. From turtles to otters to dinosaurs, here’s a top list of a few things you won’t want to miss at the aquarium this season! 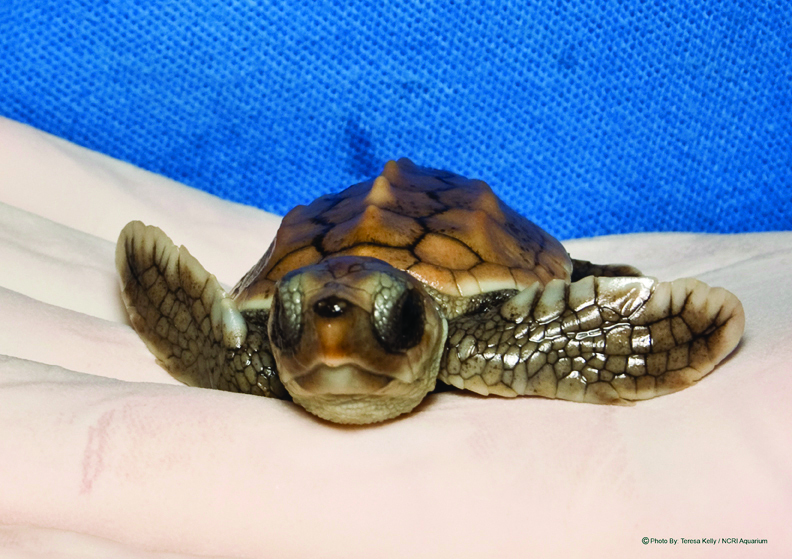 When the Aquarium’s brand-new Sea Turtle Assistance and Rehabilitation (STAR) Center opened last summer it was an immediate hit. In partnership with the local volunteer organization N.E.S.T (Network for Endangered Sea Turtles), and by working closely with many other local groups and individuals, the Aquarium’s STAR Center is now a vibrant hub of activity devoted to identifying and caring for sea turtles in need and sharing this important work with the public. STAR’s 2,000-square-foot, state of the art facility is genuinely impressive. 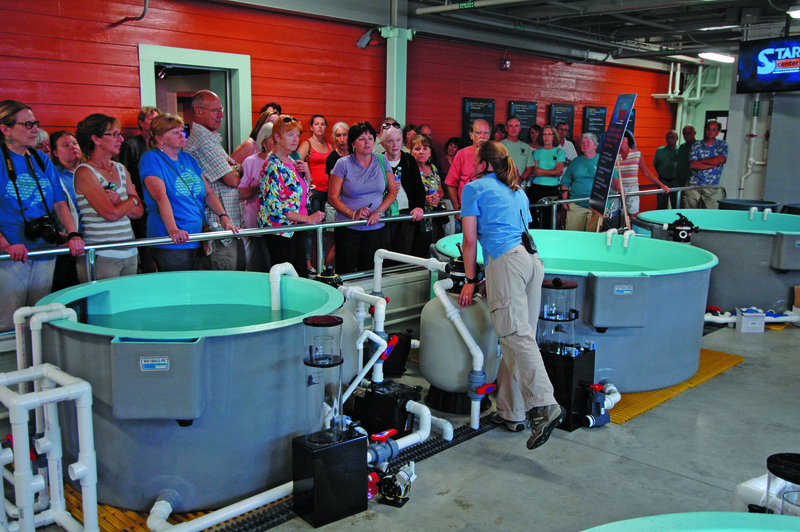 Large tanks fill the majority of the room in order to house a variety of sea turtles while they recover from their respective injuries, with a side treatment area used for surgeries and other routine medical procedures. In the viewing area, a window allows visitors to watch some of these procedures, and multiple overhead cameras operated through touch screens or joysticks give visitors access to a close bird’s-eye view of all the tanks while interpretative guides talk about the facility and answer any questions. This is where you can meet (and return to check in on) friends such as Fin, a large Kemp’s Ridley Sea Turtle who was stranded last year in Frisco after suffering from a traumatic head injury and a broken fin. Right now Fin is their most serious case and rehabilitation will take quite some time, one of the Aquarium volunteers says, but they’re rooting for him. As their hands-on Sea Turtle Rescue exhibit next door to STAR demonstrates, the final step after rehabilitation and recovery is to release the turtles back in the ocean, so one day we’ll be able to cheer Fin on as he returns home! 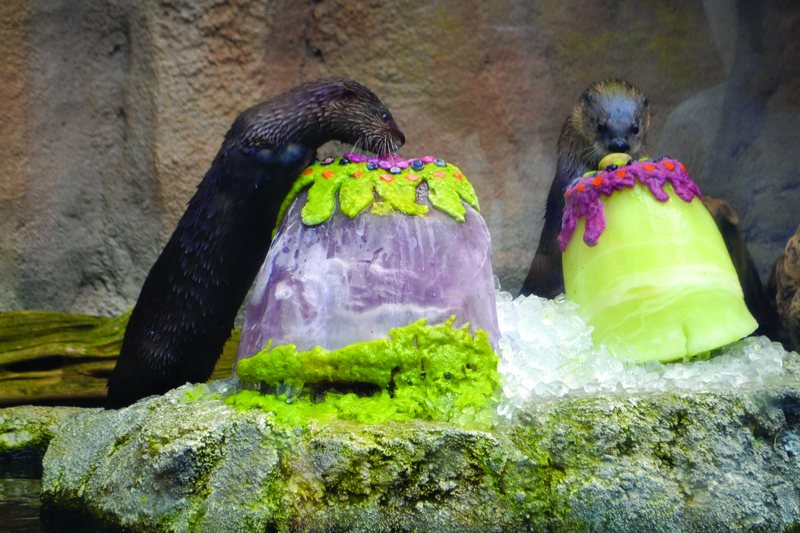 If you haven’t met them yet, stop by the Wetlands Gallery and say hi to Banks and Finn, the Aquarium’s two newest otters. These furry, playful young friends just celebrated their first birthday at the Aquarium (with frozen fish gel cake no less) and their antics, both in and out of the water, are totally smile inducing. As the Aquarium personnel well knows, play can also be a powerful learning tool for all kinds of species. Since otters out in the wild spend the majority of their time foraging for food, providing them with ways to keep skills such as flexibility, speed and problem solving fresh is a priority for the Aquarium. To this end, the Aquarium runs a variety of enrichment programs designed to foster a better relationship between people and other animals. Take, for instance, educational games such as “Hide and Seek” or “Gold Fish in a Jug” where aquarists encourage the otters to exercise their minds (and bodies!) in order to find some tasty treats. A touch screen found beside the otters’ tank plays short videos on demand with footage of several games the otters enjoy playing as well as a behind the scenes look at other activities that go on to care for the otters, from food preparation to exhibit maintenance. “It’s all about making their stay here as rich as possible,” says Aquarium Director Maylon White. For all those who experienced the thrill of roaming through this outdoor exhibit last summer, don’t worry: The dinosaurs are back by popular demand! 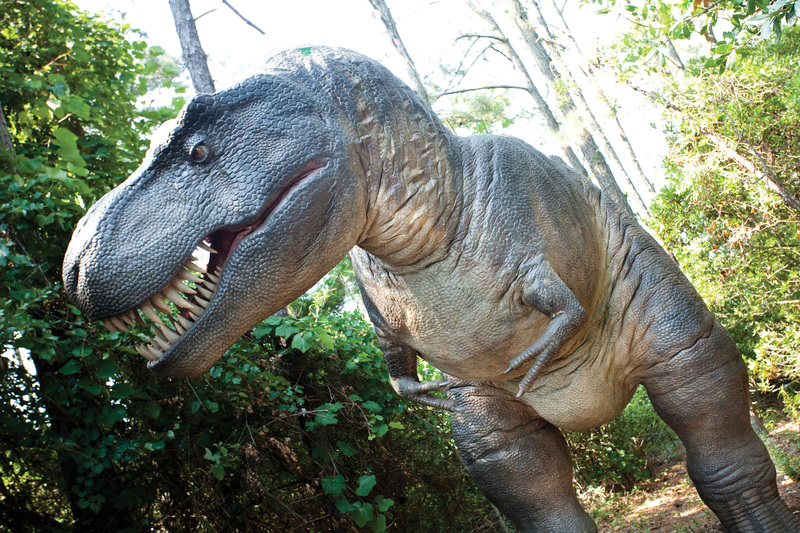 From May 23 through Labor Day weekend, new and returning visitors can participate in the pleasure of roaming through prehistoric territory on the Aquarium’s beautiful nature trail, which will once again be populated by life-sized, animated dinosaurs. Experience the delight of coming face to face with creatures from this bygone era, including a Stegosaurus. a Parasaurolophus and an Ankylosaurus with her young. Listen to their formidable roars and get ready to run! 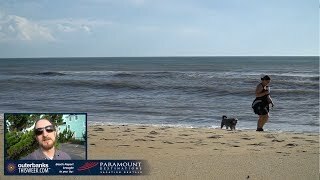 These life-like models have traveled from states as far away as New York and California, and the excitement of watching these glorious beasts inhabit the Outer Banks for the first time in millions of years is nothing short of spectacular. New this year is a number of more dramatic photo opportunities with these prehistoric creatures. Children (and, of course, adults) can have their photos taken with a special three-dimensional model of a Tyrannosaurus Rex’s head or a Triceratops. So if you’re ready to stare down — or strike a pose with — a T-Rex while you’re here, entry to Tyrannosaurus Trek is free with a regular Aquarium admission fee. It’s fearsome fun for all! These exhibits are just the tip of the iceberg, of course, but they are also excellent examples of how you can engage with elements of our natural world in many different ways at the Aquarium. Other standouts include outdoor Osprey nests where you can sometimes watch these majestic birds in their natural habitats, and central touch tanks filled with animals such as sea stars, urchins, guitar fish, stingrays and horseshoe crabs that help visitors study underwater environments in a more tactile sense. So whether you marvel at the largest collection of sharks in the state, participate in a special activity such as their Seafood Series that brings in local chefs who make delicious dishes using ingredients found in our waters, or are even thinking about planning a wedding that’s one of a kind, the list of things to discover at the Aquarium is truly endless. No matter when you stop by, come explore the world in ways unlike anything you’ve experienced before, and be prepared to see, hear, feel and be inspired by everything you’ll find here at the North Carolina Aquarium.